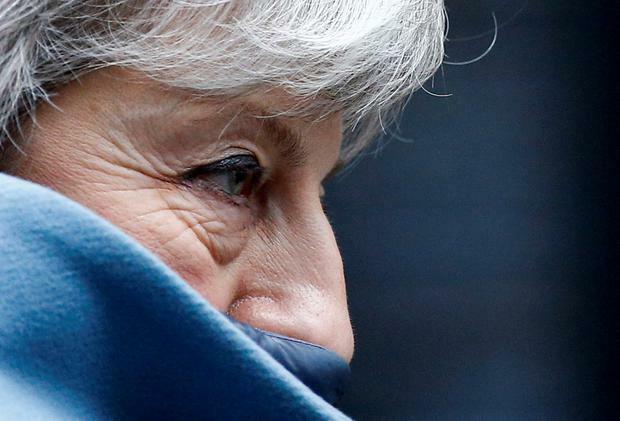 UK ministers are to vote today on whether to delay Brexit beyond March 29 as UK Prime Minister Theresa May prepares to push ministers to accept her EU divorce deal, which they have twice rejected. Key to Mrs May’s plan will be an attempt to persuade the most pro-Brexit lawmakers to reverse their opposition to her deal in the face of a possibly long delay. 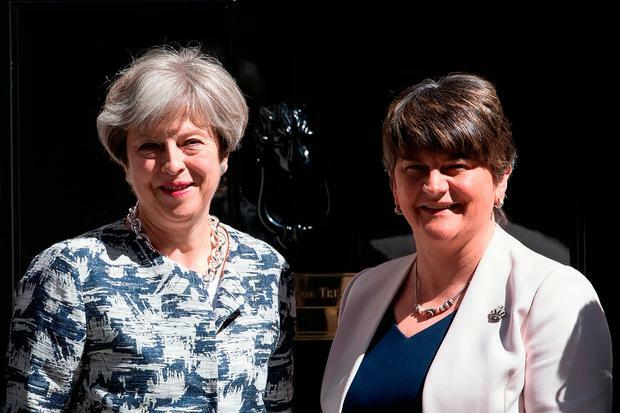 Arlene Foster, leader of the Democratic Unionist Party (DUP) that props up Mrs May’s government, is reportedly working with both governments to try to find a way of leaving the EU with a deal. “The [DUP] has confirmed it has been speaking to ministers to find a sensible deal for the entire UK and for the Irish Republic,” BBC Northern Ireland Political Correspondent Enda McClafferty said in a report. He also said that DUP leader Arlene Foster had met Taoiseach Leo Varadkar during his St. Patrick’s Day visit to Washington. Ms Foster this morning said she wanted Northern Ireland’s regional assembly to have a “meaningful say” on Brexit. “What people need to do is hold their nerve and to look for a deal that works for the whole of the United Kingdom,” Foster told BBC Northern Ireland in an interview, adding that Northern Ireland must remain “constitutionally and economically” within the United Kingdom. On Wednesday, parliament rejected the prospect of leaving the European Union without a deal, paving the way for Thursday’s vote that could delay Brexit until at least the end of June. The move came ahead of another extraordinary night in the House of Commons where British Prime Minister Theresa May claimed a Brexit delay is now inevitable. MPs voted to rule out leaving the EU without a deal under any circumstances – but this is merely a declaration of intent. As things stand, the UK remains on course to crash out on March 29 by default. The chairman of European Union leaders Donald Tusk said on Thursday he would ask EU heads of state and government to be open to granting Britain a long extension of Brexit talks if London needs time to rethink its strategy of leaving the EU. “I will appeal to the EU27 to be open to a long extension if the UK finds it necessary to rethink its Brexit strategy and build consensus around it,” Tusk said on Twitter. EU leaders meet to discuss Brexit on March 21-22. Tusk said he would ask for openness to this option in his consultations with leaders in the run-up to the summit. Mrs May said the only alternatives left are a short extension to get her deal across the line or a lengthy delay. The development was viewed as a “massive moment” in Dublin with a source saying “the day of reckoning is coming” for hardline Brexiteers. The British no-deal plan allows products entering Northern Ireland across the land border from the Republic to be exempt from charges. While this will temporarily ensure no Border checks on traffic going north, it has prompted major fears that Ireland will become a “smugglers’ paradise”. In Washington, Taoiseach Leo Varadkar said Ireland has a cash pile of “between €10bn and €15bn that we can access should there be any market turbulence”. Numerous senior Tory ministers defied Theresa May last night by helping pass a vote that supported taking a no-deal Brexit off the table. There is now an expectation she will table a third ‘meaningful vote’ on the Withdrawal Agreement next week. Irish officials expressed relief that a no-deal crash-out is now the least likely scenario – but also acknowledged that preparations for a disorderly Brexit continue apace. Tonight MPs will vote on a motion which states that if they agree to a Brexit deal by next Wednesday, then a short Brexit extension will be requested in order to allow the House of Commons to pass the relevant legislation. If a deal isn’t signed off in the coming days, Mrs May will seek “a much longer extension”. This would require the UK to take part in European Parliament elections in May. Read More: Q&A: From smuggling to taxes – what does it all mean? There is no guarantee EU capitals would sanction a lengthy postponement without a clear purpose, such as a second referendum. The European Commission responded to developments in London by stating there are only two ways to leave the EU: “With or without a deal. “To take no-deal off the table, it is not enough to vote against no-deal – you have to agree to a deal. We have agreed a deal with the prime minister and the EU is ready to sign it,” a spokesman said. Responding to another chaotic night in Westminster, Mr Varadkar said: “Things are looking a little brighter today than they did yesterday. He also said the UK’s tariff approach would not work for very long and the common external tariff will apply to any goods exported from the UK to the EU. An EU Commission spokesman said the differential treatment of trade on the island of Ireland and other trade between the EU and UK “raises concerns”. “In the event of no-deal, the Union has already made clear that it will apply its normal third-country trade regime to all trade with the UK, and accordingly charge MFN tariffs on imports from the UK into the EU. “This is essential for the EU in order to remain a reliable trade partner to the rest of the world, including upholding internationally-agreed rules on global trade,” he said. Mr Varadkar accused Brexiteers of “chasing unicorns now for a very long time”. He insisted Ireland is “well prepared for a no-deal” and the Government would support businesses, farmers and fishermen. “There will be damage limitation, we will protect incomes, we will protect jobs and we will support businesses to overcome whatever happens in the next couple of weeks,” he said. The no-deal trade arrangements put forward by the UK are to be “strictly temporary” and introduced as part of efforts to maintain a free-flowing Border. However, they represent only the UK side of what a post-Brexit Border would look like. It will be for the EU to set out what tariff regime would apply to goods travelling North-south. Mr Varadkar said the UK approach would not work for very long and the common external tariff will apply to any goods exported from the UK to the EU. He predicted that “within a matter of months that would lead to the need for checks at Northern Ireland’s ports”, which is essentially a border in the Irish Sea rather than a land border. In a clear dig at the DUP, the Taoiseach said the UK tariff plan proposes “to treat Northern Ireland differently from the rest of the United Kingdom in a few weeks’ time”. Senior officials from the Department of Agriculture were in Brussels yesterday meeting EU Commission representatives about potential bailouts for the sector in a worst case scenario.